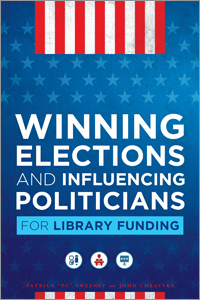 We're excited to offer this free guide to help libraries raise the money they need to win their campaigns and elections. Every campaign for libraries has to raise and spend money to maintain an intense level of activity. Political campaigns are becoming more and more expensive and therefore campaigns need to raise greater amounts of money to remain competitive. The fact is that, in order to keep up, library campaigns need to raise significant amounts of money to compete in the political arena. Without this money there can be no staff , no office, no phones, no signs or advertising, and no media coverage. Basically, without money, there is no campaign. This guide will help you understand how to raise the money you need to win!